Gone are the days of traditional marketing. Billboards, paper advertising, and radio spots are no longer the primary tools used to inspire travel. Instead, today’s travelers are turning to the digital space to find new locations to explore — and travel content creators are providing them with ideas. Travel and tourism is an $8.8 trillion global industry, representing 10.5% of global GNP. There’s an endless ocean of tourism content that travelers need to navigate, and getting results in this intensely competitive marketplace is a daunting challenge for tourism marketers and brands — one in which effective influencer marketing plays an increasing role in inspiring potential visitors. Reality check: Visitors no longer trust traditional tourism marketing messages for information. Even review sites like TripAdvisor are getting scorched for alleged phony reviews. Visitors want credible and compelling content from a real person that they trust, whether that person is a well-known blogger or a local content creator. The tourism marketer – travel influencer relationship would seem to be a match made in Heaven…but like any new relationship, there are growing pains. Marketers have expectations for business growth, and content creators have personal audiences and authentic brand images to maintain. Understanding business expectations, realities of the tourism-content creator relationship and effective collaboration strategies is the key to success in the growing tourism-influencer marketing space. VisitDFW’s recent Screenshot survey showed that almost 50% of consumers perceive travel influencers and content creators as significantly influential in their travel decisions. 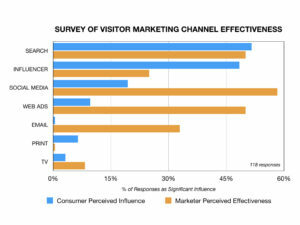 On the other hand, only 27% of travel and tourism marketers perceive travel content creators as being significantly influential in the travel decision process. Why the gap? A big part of this gap is likely driven by varied understanding of the business imperative expected in an intensely competitive marketplace. 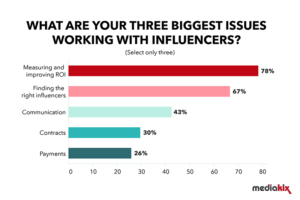 Mediakix reports that 78% of tourism marketers struggle with managing influencer performance and 67% of travel marketers struggle to find credible influencers. Many travel marketers have also been ‘burned’ by negative experiences with unprofessional and misleading influencers. 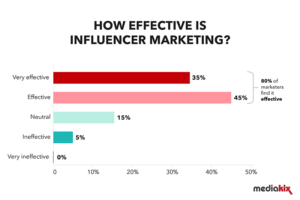 There’s no doubt that influencer marketing is effective. There’s also no doubt that the tourism marketing space is crowded, but travel content creators are on the rise, inspiring travelers with authentic suggestions about new destinations to explore. So how do content creators and tourism marketers successfully work together? It all starts with learning and collaboration – the foundation of Travel IdeaFest. 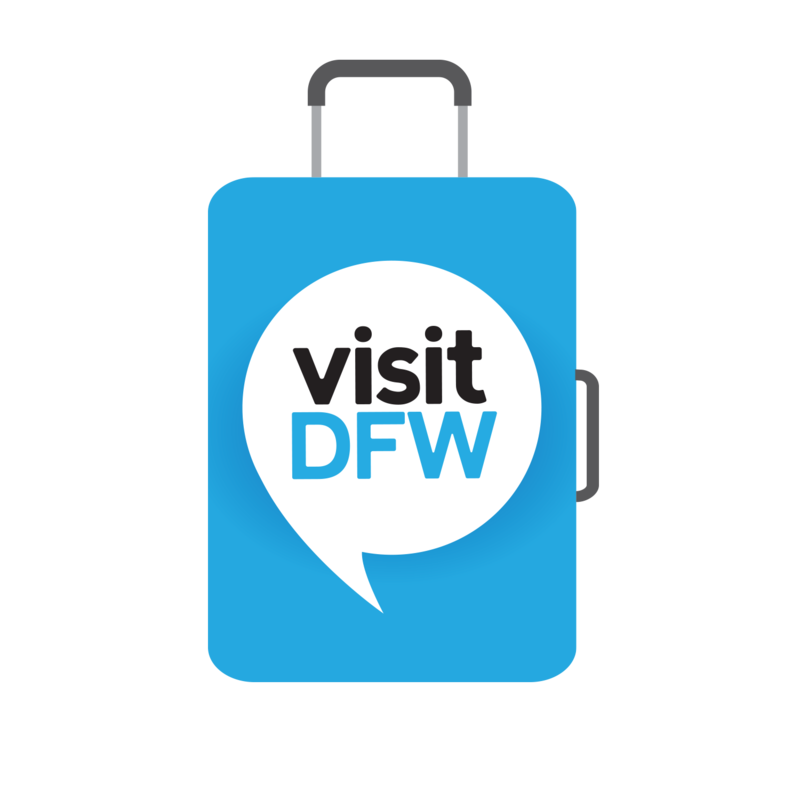 In VisitDFW’s recent Screenshot survey, “effective collaboration between content creators and brands” was identified as the most demanded session topic at Travel IdeaFest by 79% of travel content creators and tourism marketers. At Travel IdeaFest, attendees will learn best practices for working together effectively, explore collaboration opportunities and build business relationships to achieve content marketing success. Sign-up here to get regular updates on Travel IdeaFest and influencer marketing. Creating travel and tourism influencer marketing success based on collaboration and education.